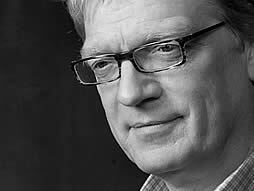 In this talk from RSA Animate, Sir Ken Robinson lays out the link between 3 troubling trends: rising drop-out rates, schools’ dwindling stake in the arts, and ADHD. An important, timely talk for parents and teachers. 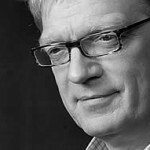 Creativity expert Sir Ken Robinson challenges the way we’re educating our children. He champions a radical rethink of our school systems, to cultivate creativity and acknowledge multiple types of intelligence. This morning was our last official Parent Technology & Literacy Coffee Morning of the year. Thanks to our dedicated group of core parents who braved the rainy weather today to discuss ideas for summer fun with technology! Although this might not be considered “art” in the traditional sense, technology has enabled the development of a huge variety of new and constantly growing and changing mediums. The skills demonstrated in this video are the kinds that we’re working towards here at YIS: innovation, creativity, communication, expression, collaboration and influence. Watching this video, it’s exciting to think about the innovative and creative ways that people all around the world are using technology to create art – and then to share it with a global audience. All students in middle and high school have their own blog on The Learning Hub. We are encouraging students to use this space as their own personal learning environment, to publish posts about topics that are interesting to them, to write their own stories, to share ideas and resources they find interesting. The posts on their blog do not need to be exclusively posts written for school (although, of course, they should all be posts that are appropriate to be read/watched/listened to in school). Basically, any time they spend blogging is time reading, writing, thinking, and connecting. Create a VoiceThread about a summer trip with everyone in the family collaborating to choose the photos and record their thoughts. Create a VoiceThread about what you did and where you went here in Yokohama. Make a book or movie trailer. Create a project idea, like: finding math in everyday life, or teaching how to do something that you’re passionate about. Basically, you can create a VoiceThread about anything, and the exciting part is that other people can watch and add their comments too! VoiceThread is great for starting conversations. As you can see, there are tons of ways to be creative and use your laptop for fun, engaging and entertaining ways this summer! Creating something unique uses tons of essential skills like critical thinking, project-planning, innovation, and collaboration. Have fun! And don’t forget to spend some time outside, talking, reading, running and playing too! Thank you so much for hosting parent tech coffee mornings every month! I had so much to learn this year. These coffee morning kept me up to date in tech skills with my son. I look forward to attending more Tech Coffee mornings to learn something new next year! Our Parent Technology and Literacy Coffee Mornings will start up again next September, watch this space for our schedule for the year.